In this project, we wrote and performed verbatim plays in groups of 3 and 4. 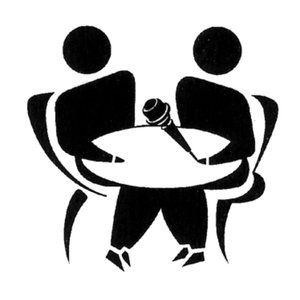 These verbatim plays were based on oral interviews about crime, punishment and innocence. This was the second half of the HTHCV XONR8 Project, an interdisciplinary project using biology and humanities to help students better understand how the criminal justice system works, and the consequences of what happens when the system doesn't work. In this project we didn't just learn about history and watch plays, we became the historians, playwrights, and actors, telling stories that have not been told before, and sharing with audiences an unfamiliar perspective of the world we live in. Our performances occurred at OnStage Playhouse in Downtown Chula Vista on Monday December 8th, and Tuesday, December 9th, 2014. This project had many extensive steps, and was not just writing plays and performing them. As mentioned earlier, this was the second half of the HTHCV XONR8 Project. In the first half, we worked with the CIP reviewing client's case files (for more information, visit the biology subpages). In this portion of the project, we interviewed members of the innocence project, law enforcement officials, and clients of the CIP that were successfully exonerated. The stories, experiences, and lessons that we gathered from those interviews we then converted to verbatim plays. My group had the honor of interviewing Mr. Justin Brooks, founder and director of the California Innocence Project. Our interview covered various subjects, but it had a focus on one of his clients, Marilyn Mulero. Ms. Mulero is the individual who inspired Mr. Brooks to begin the Innocence Project, and after more than 20 years remains in prison for a crime she did not commit (for more details, please read our script below). After conducting the interview with Mr Brooks, which lasted for almost an hour, our group had to transcribe the interview word for word, a task that is much harder than it sounds. Then, from the transcription, we had to write a short play using only things that were said in the interview. 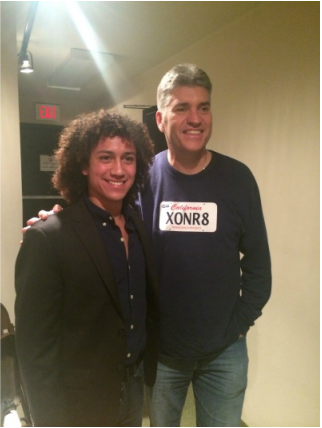 Justin Brooks, director and founder of the California Innocence Project, and I posing for pictures backstage after the performances. To complete this project, my group of three reviewed the recording of the interview, and then made a brainstorm of potential elements from the interview that we wanted to keep in our play. From there, we narrowed down the portions of the interview that were relevant to what we wanted to convey in our play, and between the three of us transcribed those parts of the interview. Next, we began writing a play composed completely on the transcriptions of the interview. Thanks to our initial brainstorm, we had a loose idea of where we wanted to take our audience. Our first draft included information on the Marilyn Mulero Case, the Three Strikes Law, and a walk Mr. Brooks went on from San Diego to Sacramento to protest the incarceration of 12 clients whom should not be incarcerated in California. However, after several rehearsals and critiques, we realized that our play had no real central theme. We had to ask ourselves, what story did we want to share with the audience, and we unanimously agreed that it was the story of Marilyn Mulero. There are extensive articles and websites about the three strikes law, the California 12 in the Innocence Project, but what about Marilyn Mulero? We did not conduct the interview, and dedicate so much time and effort to tell the story of Justin Brooks and the California Innocence Project, one that has been told many times. We did all of that to tell the story of Marilyn Mulero, the innocent human being who had her life stolen from her by the legal system. Accordingly, we transcribed everything Mr. Brooks told us about Marilyn, and used solely those details to write our plays. If I had to identify one instance which accurately summed up the project, I would have to say that it was during our performance. We had a scene where we were reenacting the crime, and we needed the sound effect of a gunshot (since there were people getting shot in the play). When the time for our play came, however, our group was not prepared, and we did not have the sound effect. Of course, the audience had no idea something was missing, and the actors adjusted onstage with exceptional professionalism, but that instance optimized our group's lack of communication. The sound effect was on my phone, and there was miscommunication where the phone would be. So, when the time for the effect came, none of us had the phone. I truly believe I contributed a lot to this project. I was in charge of actually writing our script. I was also very detailed and thorough in my transcribing, and helped my group members transcribe their portions of the interview when they needed it. Additionally, I took the lead in our play. I also think I made a conscious effort of trying to improve our communication throughout the project (however successful or unsuccessful that may have been). There are two things that I am most proud of from this project. The first being our actual performance, because we were fantastic. I am incredibly proud of our play. On stage, everyone played their role with character and emotion, and the design of the lighting helped create a sense movement. As I sat in the audience before and after our play, I was also genuinely surprised by how captivating and emotionally draining our performances were (and by no means did I have low expectations). The second aspect of this project that I am incredibly proud of is that we did justice to Marilyn Mulero, and her story. If not what I am most proud of, it definitely is what I will take with me from this project. Her story, and her journey, now have a profound, personal meaning to me. I think there are several lessons that I gained from this project. First and foremost, how to conduct an interview, and how to phrase questions that get the answers you are looking for out of an interviewee. I cannot say how many more times in my life I will be asked to interview someone, and especially for as long as these interviews were, but now I know what it takes to conduct a good interview. This project also helped bring to light some of the headaches and struggles playwrights have to cope with, especially when it comes to stage direction. I think writing the stage directions was the hardest part of writing the play. I also believe this project helped me become a better leader, because one of the big challenges this project presented was having to work with group members I did not get along with. I have said it time and time again to my peers, and told myself the same throughout all of XONR8 Theater, having a difficult group is not an excuse for producing sub par work. You are always going to have to work with people that you do not get along with, and I think this project showed the importance of leaving your social self at the door when you go to work, and bring the version of you that ultimately wants to produce something extraordinary.